Public school boards are elected to negotiate on behalf of local taxpayers with public employee unions. 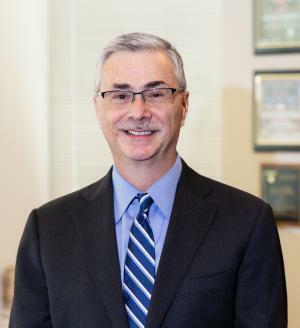 Teacher's unions in Oak Park and River Forest will have representatives on both sides of the table if Ralph Martire is elected April 2 to the OPRF High School District 200 board. Martire is a high-ranking teacher's union advocate in Illinois, part of a statewide union effort to load school boards with union officials. He has a run a Chicago-based teacher's union funded "think tank" for the past 20 years, dedicated to raising property taxes and union teacher salaries. The Center for Tax and Budget Accountability (CTBA) is directed by board members with top positions at the Illinois Federation of Teachers, the Illinois Education Association, AFSCME Council 31, other unions and public institutions. Martire believes Illinois taxpayers don’t pay enough. On the payroll of government unions, Martire is part of a statewide effort to load school boards with union loyalists. He supports a broadening of the sales tax, even while half acknowledging the tax will hit lower income residents the hardest. And he backs Governor J.B. Pritzker’s progressive income tax plan, a proposal Dabrowski told West Cook News is little more than a “sales pitch” for higher taxes for all later. For Martire's part, he readily admits he is on the teacher's union payroll and wants to raise taxes dramatically. In fact, it's mostly all he ever talks about. $1,500 per household tax hike. For starters. Property taxes in Oak Park and River Forest are among the highest in the U.S., more than twice the national average. But Martire says they aren't high enough. He wants every household in Illinois to buck up another $1,500 per year for public schools. Illinois taxpayers spent about $42 billion on K-12 public schools in 2016. Martire wants to increase that amount to about $50 billion, or just over $27,000 per student. Martire is a leading supporter of increasing the state income tax to fund this. He says hiking rates on earners over $250,000 as high as 13 percent-- including many of his would-be OPRF constituents-- is a “sound, fair” tax policy. "No raising taxes on the affluent won't scare millionaires away," Martire wrote in the Daily Herald. "In fact, four of the five states with the most millionaires per capita have special "millionaire" tax rates. It won't kill the economy either." Dabrowski and other economists view income tax hike plans a little differently -- nothing more than a pathway to even higher taxes and spending. “It won’t even come close to raising what Martire and (Governor) Pritzker claim to need,” Dabrowski said. “The middle class will pay higher income taxes as well." Research by the Illinois Policy Institute (IPI) backs up Dabrowski’s assessment. 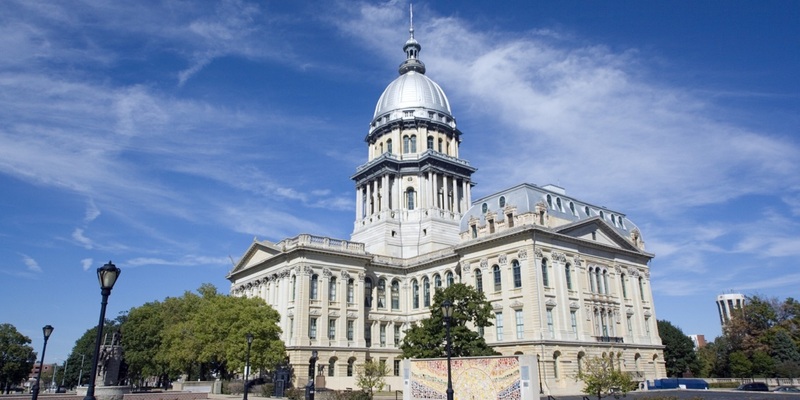 Springfield would raise $1.4 billion not the $3.4 billion Pritzker promised from the plan, according to a March 9 analysis by IPI. Martire also supports expanding the state sales tax to cover services like dry cleaning. He writes that a sales tax increase is tax reform because it will ensure that government will have the resources to give back to the poor what it earlier took away. “And while it's true sales taxes are regressive [hurt the poor], the stable revenue a broad-based sales tax generates during recessions averts the need for significant spending cuts to core services predominantly consumed by low- and middle-income families,” he writes. Martire, whose CTBA is funded by the Chicago Teacher's Union, has shown a particular interest in funnelling more suburban tax dollars to Chicago Public Schools (CPS), which he claims are underfunded. Chicago property taxpayers fund about 50 percent of CPS, versus OPRF taxpayers funding 95 percent of District 200. In 2017, Martire led the Chicago Teacher's Union effort in Springfield to change the state school formula to favor CPS over suburban districts, eliminating the "per pupil" distribution mechanism for state funds, which meant increasingly less money for CPS, which has lost 50,000 students in the past decade. The threat taxpayers face from Martire, and from union officer Gina Harris also running for the OPRF School Board (covered earlier by West Cook News), hasn’t gone unnoticed by district residents. “A possible conflict of interest or the appearance of one is inherent in the candidacies of Gina Harris and Martire,” wrote district residents Jack Davidson, William Gale, Monica Sheehan, Doug Springer, and Leslie Sutphen in OakPark.com. Want to get notified whenever we write about Oak Park - River Forest School District 200 ? Next time we write about Oak Park - River Forest School District 200, we'll email you a link to the story. You may edit your settings or unsubscribe at any time.